John Kapior and Dan Finn are U.S. Army veterans from Oak Lawn, Ill. They both served in the Vietnam War and were awarded a Purple Heart for severe injuries sustained during combat. Now retired, they are dedicated volunteers with the MOPH Department of Illinois. They rely on a 2005 Hyundai Tucson for MOPH community outreach activities in Illinois. They use it to haul the moving “Memorial Wall of Honor,” a memorial wall that has the names and photos of Illinois service members who have fallen in the Iraq and Afghanistan Wars. Mr. Kapior and Mr. Finn transport the Wall of Honor throughout Illinois, to schools and community events, to share the story and sacrifice of the state’s veterans. However, the failing condition of the vehicle and their limited financial resources were preventing the pair from attending various events. Mr. Kapior and Mr. Finn picked up the newly repaired vehicle today from the Chicago AAMCO service center, at 6435 South Cicero Avenue, where the serviceswere provided free of charge. After they dropped the car off, AAMCO technicians conducted a complete diagnostic inspection and then made the needed repairs. Ultimately, they replaced the alternator and installed a new battery, spark plugs, and power purge. 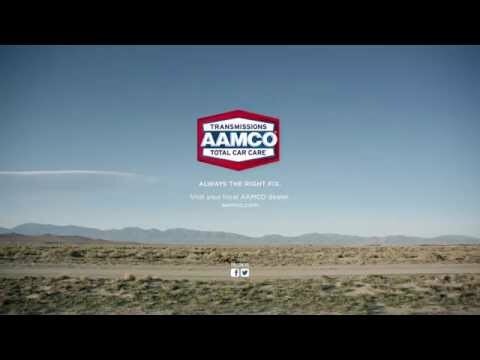 AAMCO performed additional services, including a tune-up and oil change, to ensure his vehicle will continue to serve them for years to come. Mr. Kapior and Mr. Finn will be driving the Memorial Wall to the Navy Pier in Chicago next Saturday, May 18, for display during the Armed Forces Day celebrations.